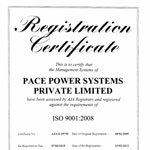 PACE always strives to meet the global challenges and meet the current standards in the industry to be one of the leading companies in the Energy Management for the telecom industry. 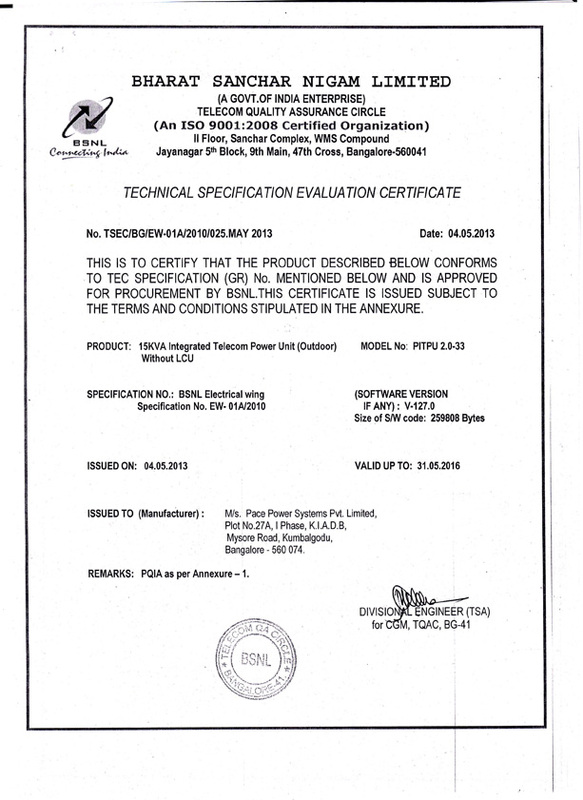 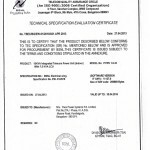 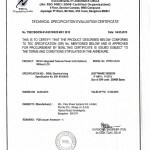 It has testified for product and manufacturing excellence by many certifications that are listed below. 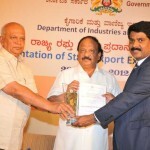 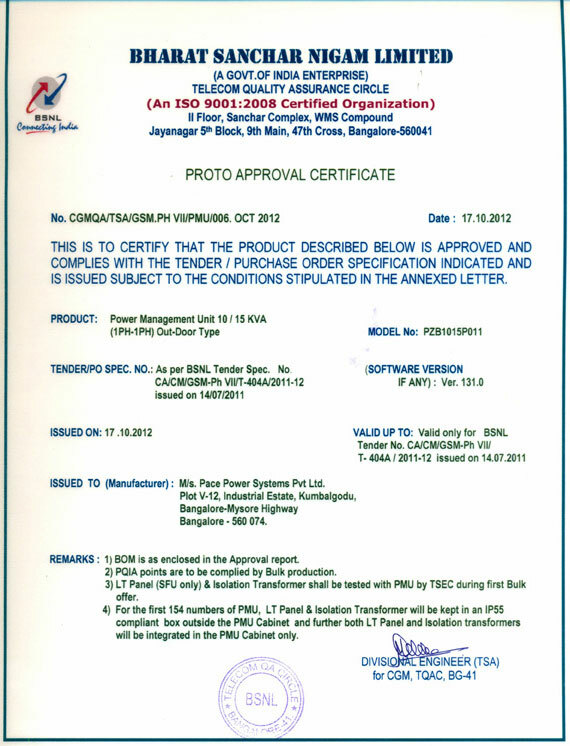 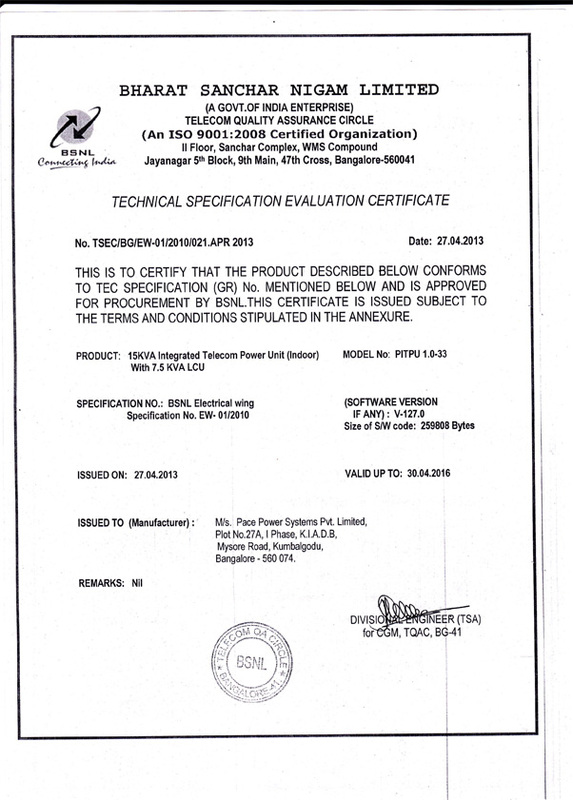 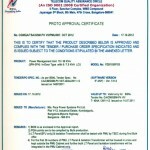 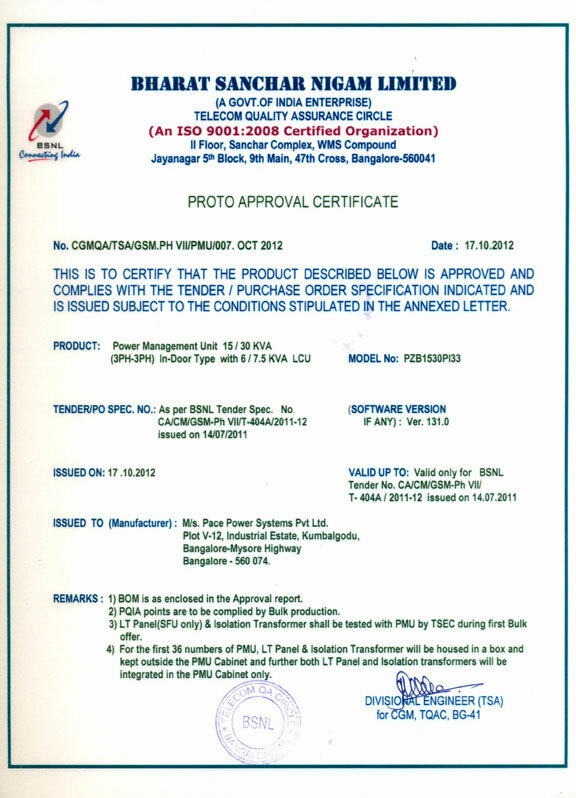 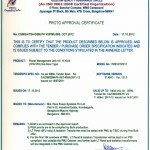 We are very happy to Announce that PACE Power Systems Pvt Ltd is recognised with an prestigious award from Government of Karnataka, Dept Of Industries and Commerce (Visvesvaraya Trade Promotion Centre) for The Best Export Excellence Awardin category of Electronics and Communication for 2011-12. 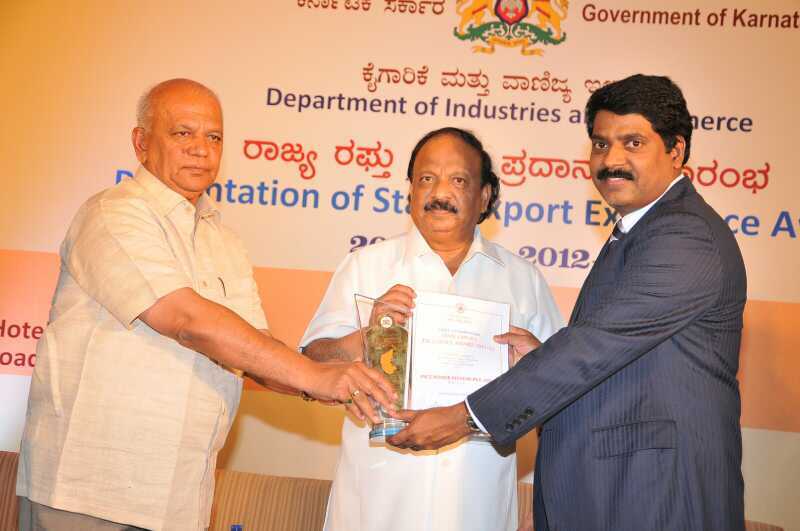 This award was facilitated to our MD & CEO Shri Venugopal Rao by Hon’ble Ministers of Karnataka on 21st Friday 2014 in Bangalore. 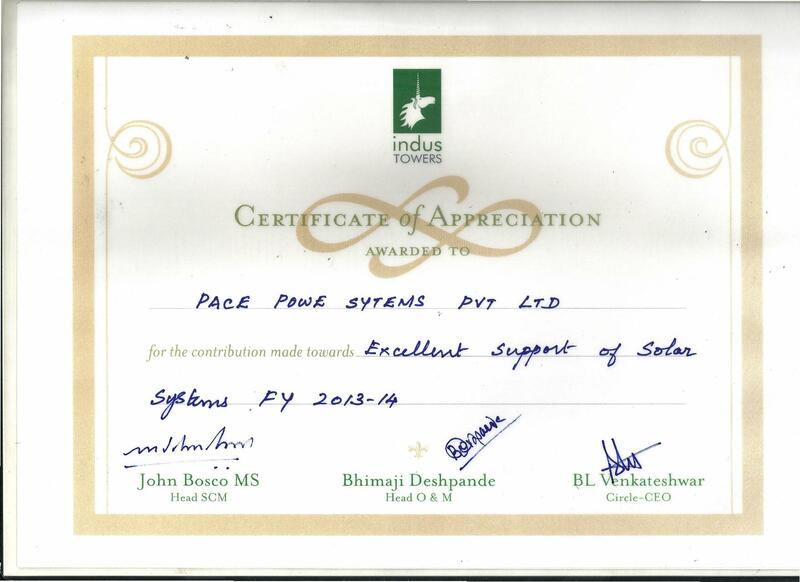 Pace has been recognized and awarded Appreciation Certificate by Indus Towers, Maharashtra Circle for its excellent contribution in Solar Solutions & Operations and Maintenance for the FY 2013-2014. 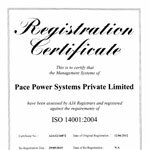 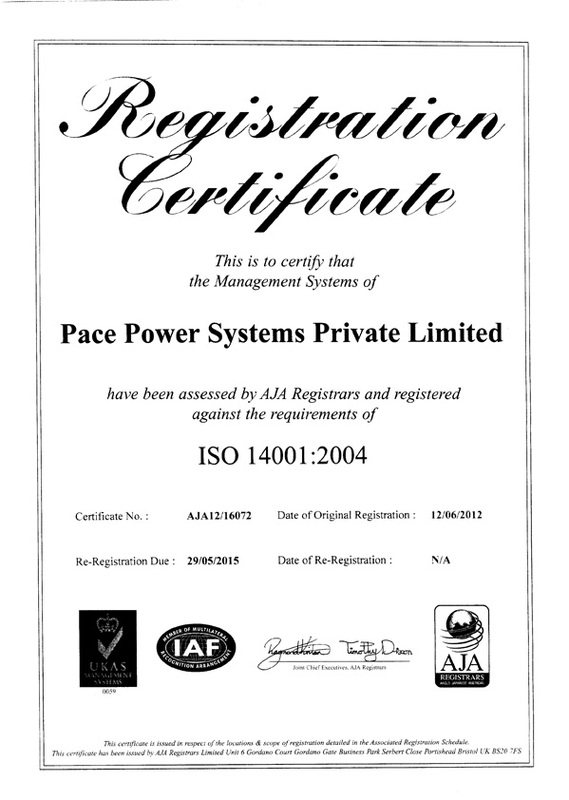 PACE has been awarded the ISO 14001:2004 Certification by AJA Registrars for Design, Development and Manufacturers of Power Management Systems, Inverters, UPS, PMS controllers, DCDG, AMF Panels, All types of LT & HT Panel, Static energy meters, Solar invertors, Solar charge controllers, Solar Power Conditioning Units, Solar Power systems. 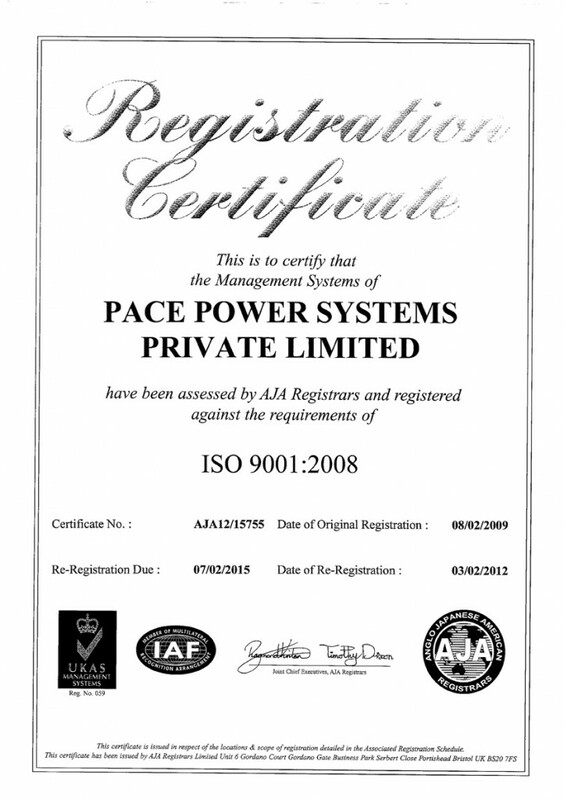 PACE has been awarded the ISO 9001:2008 Certification by AJA Registrars for Design, development and manufacture of power electronic products and renewable energy solutions.